This classic 1949 film by the National Film Board of Canada shows how an igloo is built using only snow and a knife. 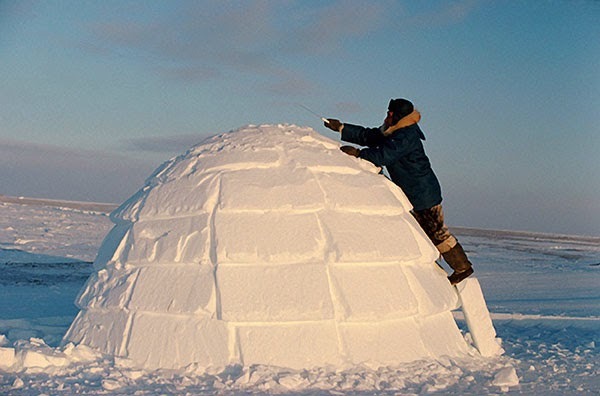 Two Inuit men in Canada’s Far North choose an appropriate site, cut and place the snow blocks, and complete the structure in approximately one-and-a-half hours depending on how big the igloo is. The warmth of the interior and the wind outside firmly cements the snow blocks together creating a snug living space despite the harsh conditions outside.